Arex's Rex Zero Compact pistol complies with strict military standards for reliability. Its frame is constructed of T7075 aluminum with steel locking block inserts. The Nitrocarburized slide and cold hammer forged barrel are made from solid steel. The slide also has high profile white dot sights. It also offers several unique features like an ambidextrous safety, full length slide rails, a loaded chamber indicator, and a large trigger guard for the use of gloves. 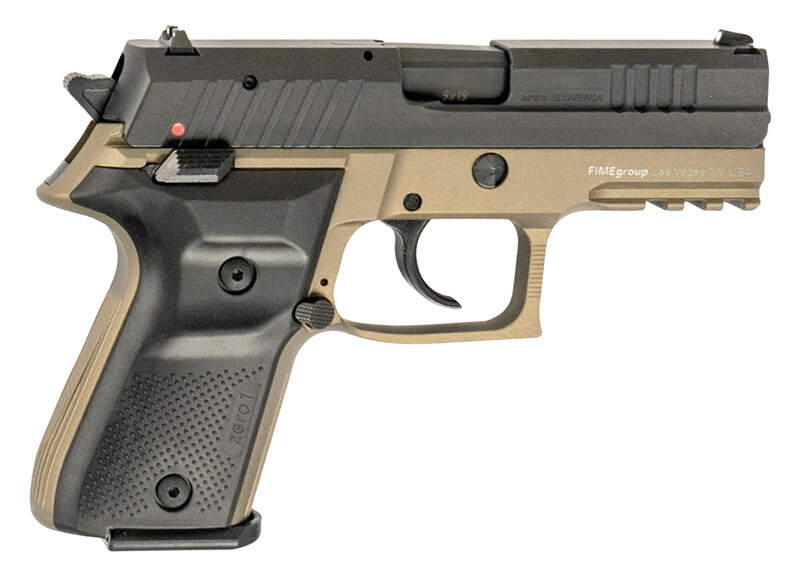 This model has a FDE hardcoat anodized frame, black slide and grips. Barrel Length Range : 3.00" to 3.99"